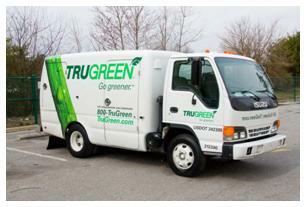 Larger, specialty vehicles carry a larger electrical load than a standard car, truck, or SUV. Because of this, the alternator that powers a vehicle such as a specialty bus must be reliable, durable, and essentially top of the line. Standard alternators that are installed in trailer buses, however, have a tendency to place a strain on the engine and a drain on the battery, lending to more frequent maintenance needs, costing drivers and companies in down time and repair costs. An Eco-Tech alternator, however, runs on a patented magnet technology that does not strain the engine. A specialty vehicle such as a trailer bus has a tendency to sit at idle for long periods of time. This is often when an alternator must perform the best. During idle, a regular alternator increases the engine’s RPMs so that it can handle the load, and a spike in voltage occurs in the battery, so that it can handle the strain. In addition to merely sitting at idle, a trailer bus has additional electrical drains that a regular car, truck, or SUV simply does not have, such as body lights, lift gates, warning lights, and the like. An Eco-Tech alternator seamlessly handles a large electrical load without spiking the battery. These alternators are specifically crafter and designed to meet the need for a high output at a low engine idle. For example, the Eco-Tech 305-I alternator can generate up to 260 Amperes at an engine speed of 1,800 RPMs, while its counterparts require 2,000 RPMs to draw that amount of power. In addition to increasing the life of the battery and the life of the engine, an Eco-Tech alternator easily saves on fuel. High idle operation on any engine can really take a toll on fuel costs. In addition to decreasing fuel costs, an Eco-Tech alternator also can decrease engine drag by up to 50 percent. To learn more about how an Eco-Tech alternator can save you money and elongate the life of your trailer bus or other specialty vehicle, please give Eco-Tech a call today at (203) 230-3000 to speak with a professional member of our staff.